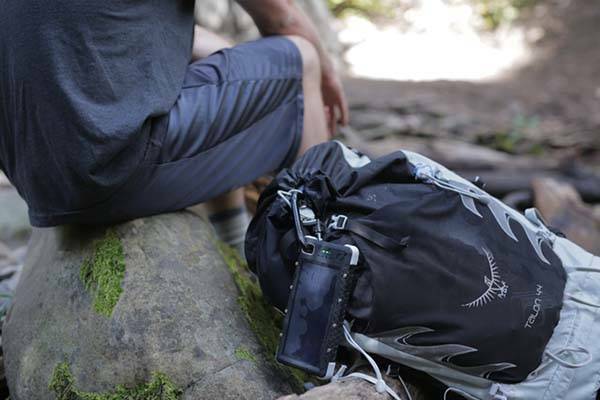 Need a portable and rugged power bank to offer on-the-move energy for your mobile devices? 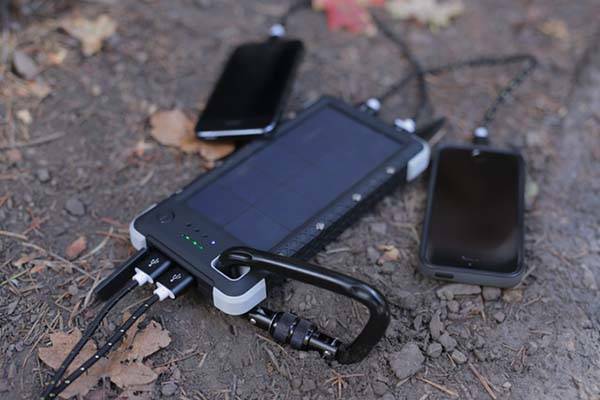 Take a look at SOS 20K, the solar powered portable charger with 3-in-1 LED light may be a nice solution. The SOS 20K is a versatile and practical portable charger that measures 9.5 x 18.4 x 2.54cm and weights 472g. As shown in the images, the power bank shows off a tough and rugged design and has an optional durable carabiner that allows you to attach it on your backpack for portability. The power bank comes with a 20,000mAh backup battery, and using two 1A USB ports and two 2.4A USB ports, you can use SOS 20K to charge up to four devices at the same time. As a solar powered USB charger, in addition to a built-in microUSB port, SOS 20K can also be recharged via its integrated solar panel with 340mAh/h. Furthermore, the power bank also features four 3-in-1 LED lights that provide you mobile illumination or emergent SOS signals for emergent situations. 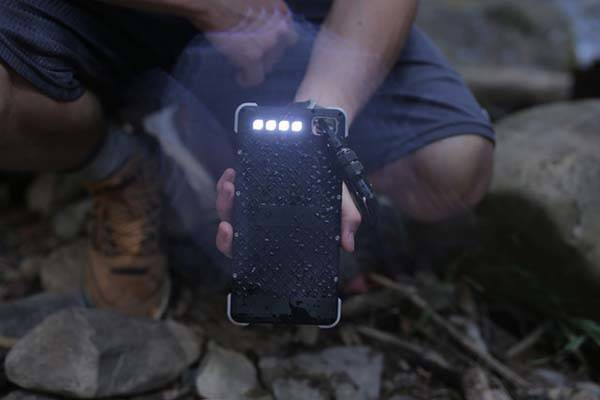 In addition, its casing meets IP67 waterproof and dustproof rating which makes it become an ideal backup battery for various outdoor activities. The SOS 20K has been available for preorder on Kickstarter. You can pledge $72 to own the solar power bank. It will be shipped in February next year. BTW, also don’t miss ET Stone solar power bank and more related cool stuff by following tags.